The name and cover of this one have changed a time or two, I'm not sure what the final title and/or look will be. I haven't been able to settle in with it quite yet. My attention span has been tricky lately, only allowing me to focus on television and graphic novels. I do have a good feeling about this book and I'm looking forward to being able to spend some quality time with it, soon. I'm working on my pile for the upcoming Dewey's 24 Hour Readathon. I have a decent sized stack, including The Yellow Wallpaper by by Charlotte Perkins Gilman. It's the first readathon readalong! Are you joining in on the readathon? Will you be reading The Yellow Wallpaper? What are you reading this week? I love the new paperback cover too :D It's even cooler in person! 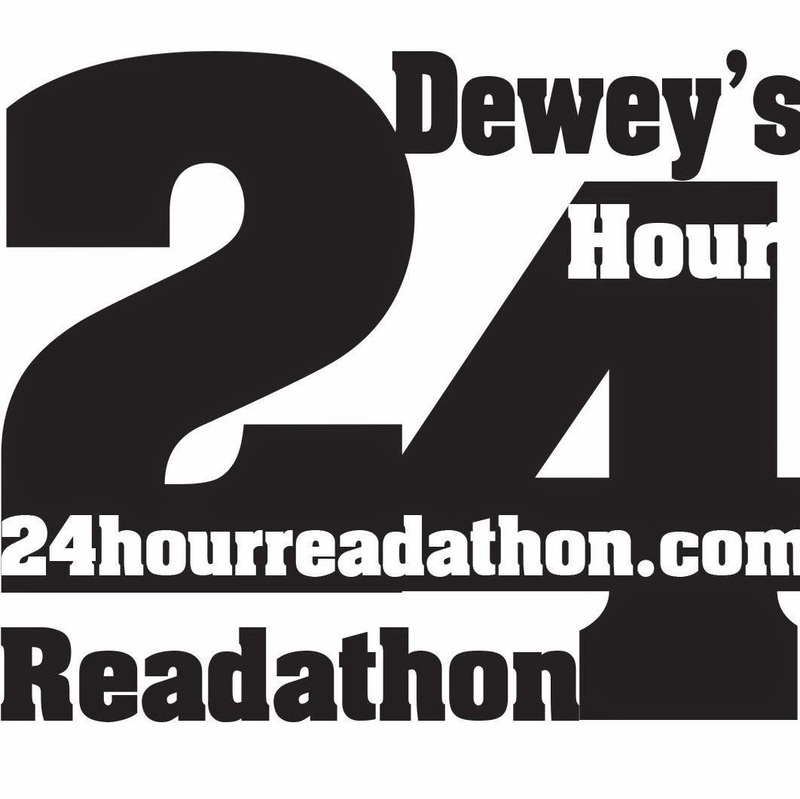 I'm looking forward to the Dewey readathon, too! It'll be my first. I probably will only focus on one book, though, maybe two. I saw on a recent post of yours that you went to see Chris Hardwick live... we're seeing him in KC in November, can't wait! My husband is nuts over @midnight. Oh my, yes I remember Singled Out too... what a nasty show! I remember a lot of weird costumes. 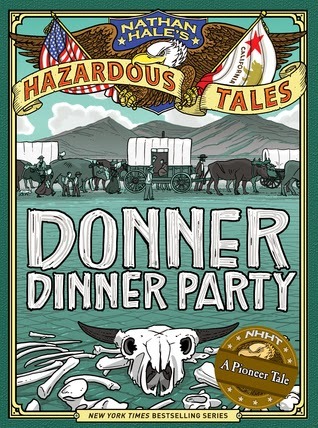 Oh man, Donner Dinner Party is cracking me up! I'm placing holds today for this weekend's festivities. Hooray for the Readathon! Whoooo hooo for the readathon. I can't wait! I'm going to be extra lazy this time around and send the hubby out for pizza. Donner Dinner Party? Bwahahahahahaha! It really shouldn't be funny, but OMG that title is hilarious! 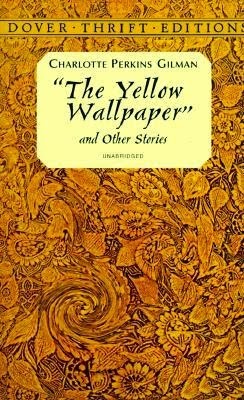 I read The Yellow Wallpaper for a readathon a few years ago. It's intense. I think a lot of people will be pleasantly surprised how creepy it is. You have definitely piqued my interest on Ravensbrueck. Favorite historical time period ever, and it's a camp that doesn't get that much attention. I hope it is a good read for you because now I want to read it! LOL, the title is awful and hilarious and I love it! I'm really looking forward to it. I honestly don't think I'd ever even head of that book before! Is that weird? Do I have to turn in my frequent reader card?? Now I just wish I could get into it. It's me, not the book. I'm just not in the mood to read here in the past couple of days and it's so strange. I'm going to be so mad if this is the start of a slump. I'm finally reading We Should All Be Feminists!! The Socratic Salon introduced me to it and there was a kindle deal this weekend. Sisters looks cute. I can't wait to join in on the Dept. of Speculation discussion at the end of the month. I hadn't heard of The Yellow Wallpaper OR the Read-a-thon until just this morning. I actually have quite a bit of free time on Friday (hubby going out of town...Hooray?!?!?)! I think I'm related to Charlotte Perkins Gilman...back there on the family tree. I'll have to double check with my cousin who did the genealogy! Sisters is adorable, as is everything by that author. Where has this author been all of my life?? I feel like I've totally missed out on something important. I'm so looking forward to diving in on Saturday! So sad I won't be able to join all of you for the readathon (my sister's wedding that day), but I hope you have a great time and get lots of reading done! Thanks so much for the heads up on the Readathon Readalong selection; I've just purchased a copy for my Kindle and signed up on Dewey's page! I'd already signed up to participate in the Readathon; this is my first one, so I'm pretty excited about it! It's also the day of the Arkansas Literary Festival, so I'll be spending some of my time listening to M.O. Walsh (My Sunshine Away) and Meili Cady (Smoke) in the afternoon. Thanks, Jennifer! Your first readathon! Wheeee, I hope you LOVE it. It's seriously the most fun. I'm super glad you're going to do the readalong too. I'm excited to read that one. I'll be kindle-ing mine as well. :D And wow, you're going to have a very bookish day that day! Donner Dinner Party sounds so neat!! I'm SO EXCITED for my first readathon! I've already read The Yellow Wallpaper a million of times (it's so good), so I'm not going to get in on the readalong. 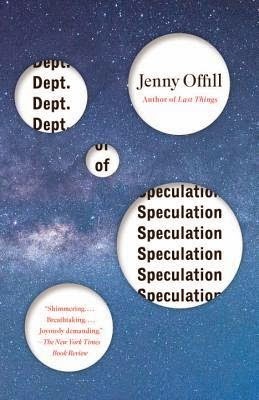 I am going to try to fit Dept of Speculation in the day somewhere! I may or may not have a stack of 14 books haha. I hope you have a great day, you'll love it! Both Sisters and Ravensbruck both sound good! 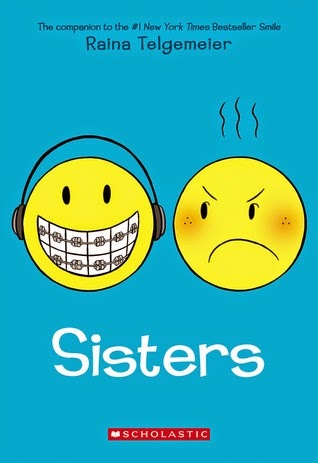 Sisters was so good. 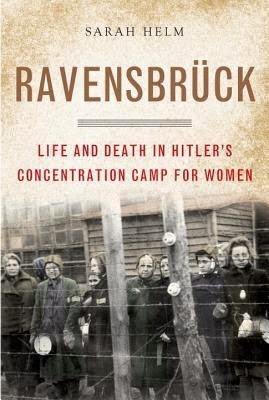 Funny and heartwarming :D Ravensbruck...sigh. I haven't picked it up in DAYS. I'm hoping to do so after the readathon.